The Dzükou Valley is a valley located at the border of the Indian states of Nagaland and Manipur. This valley is well known for its natural beauty. Dzükou derives its meaning from the Angami/Mao word which translates to "Cold Water" referring to the ice cold stream that flows through the valley. It is situated at an altitude of 2438 m above sea level, behind the Japfü Peak located in Nagaland. The rare Dzükou lily is found only in this valley. 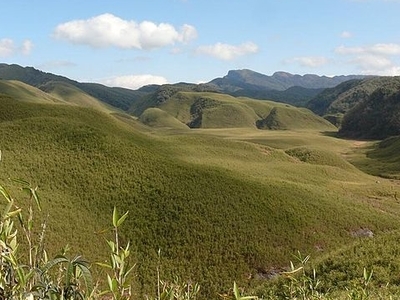 Here's the our members favorite photos of "Valleys in Nagaland". Upload your photo of Dzukou Valley! Get in touch with 1 Touristlink members who want to visit Dzukou Valley or with Tisi Tourism and Jennytheadventurer who already have been here.